The House of Representatives has voted to spend $1.6 billion on building new and fortifying existing fencing on the US border with Mexico. The expense was tucked into the $788 billion spending bill for the next budget year. The $1.6 billion is allocated for the construction of three segments of the wall on the US border with Mexico, including $784 million for 32 miles of new border fencing and $498 million for 28 miles of levee wall in the Rio Grande Valley in Texas; another $251 million would go to building back-up fencing in the heavily fortified San Diego area, AP reported. Lawmakers did not vote on the wall funding separately but rather as part of the large spending bill which included funding for the departments of Defense, Veterans Affairs, and Energy. The vote was 230-196. 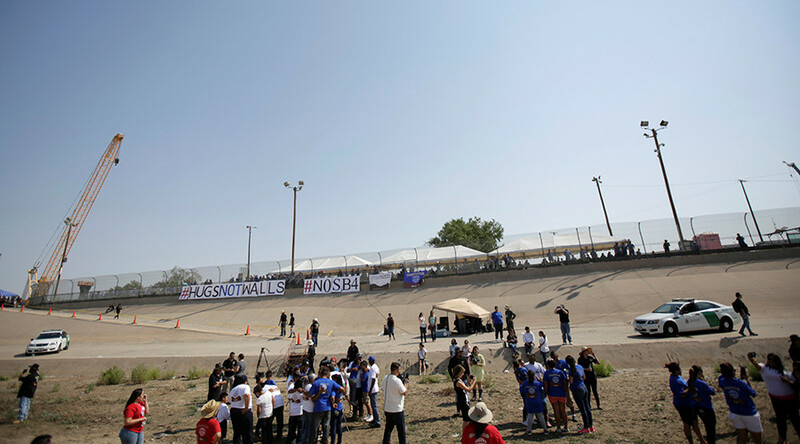 Congressional Democrats were hoping to be able to defeat the wall funding by voting on it as a separate item, considering a number of Republicans represent districts with large immigrant communities, where many oppose such a wall. President Donald Trump has campaigned on a promise to build the wall, saying open borders have led to drugs and crime pouring into the United States. He also repeatedly said that Mexico would pay for the wall. Mexican officials said they won’t. Trump has yet to enact policies that would get Mexico to pay for the wall through import tariffs or other means, as the president previously suggested. In the meantime, American taxpayers will foot the bill. The $788 billion spending bill that the House approved is anchored by a $659 billion defense funding, which exceeds current-year levels by $60 billion. It will go to fund the core Pentagon budget as well as emergency war accounts. The spending bill also includes $78.3 billion for veterans’ care and an almost $1 billion increase for nuclear weapons activities at the Energy Department to modernize the nuclear arsenal, AP reported.